Waiting on Wednesday is a weekly meme hosted by Jill @ Breaking the Spines and I'm so lame for just joining in on this. Anyways, this is basically a post where you blurb about a upcoming release that you're 'itching' for badly. 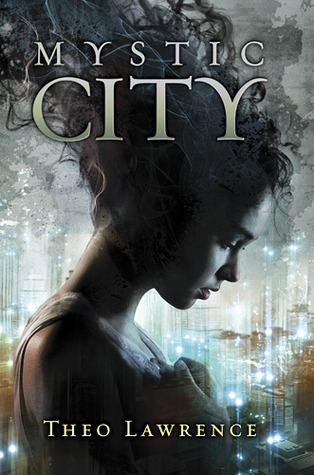 For fans of Matched, The Hunger Games, X-Men, and Blade Runner comes a tale of a magical city divided. A political rebellion ignited. A love that was meant to last forever. I've previously mentioned this book in my 'Books I'm Yearning For' and I'm bringing it up again because I wanna read it so bad. Look at that cover, check out the synopsis. Isn't it just awesome? And dystopian novels seem to be taking over these days so I'm sure this is gonna create a lot of waves in the book world. Thanks so does your pick. I've heard of this one! good choice. Awesome indeed! :) I love the cover and synopsis! Great pick! I see your point. Thanks for stopping by, great pick! Nice pick! I haven't heard of this one before. Thanks for sharing, Shane! Oh my! That book REALLY sounds awesome!!! I love the cover, I love the summary. I love it!!! Can't wait to read it! Thanks for sharing! What a gorgeous cover, I can't wait to check this one out. Thanks so much for stopping by my blog, I hope you have a great day! Super excited for this one too I love the cover and it sounds so exciting! Great pick! I hadn't heard of this one before. Thanks for the suggestion and for stopping by! A magical city divided. A political rebellion ignited. A love that was meant to last forever.